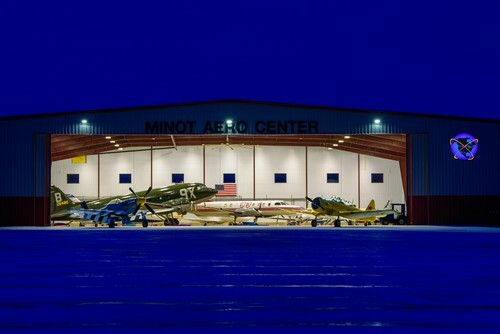 Minot Aero Center (M.A.C.) 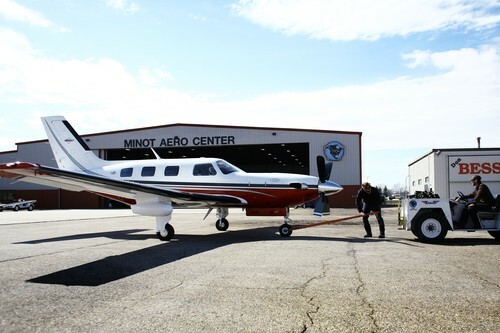 is open 24 hours with 24 hour maintenance and 24 hour co located customs services. 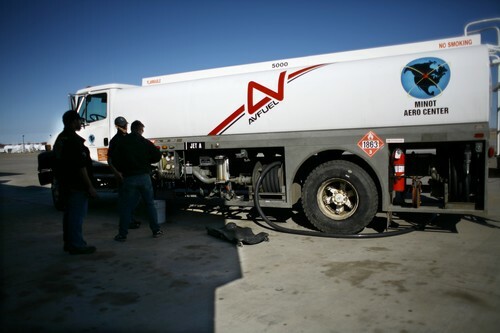 MAC partners with AvFuel, ask about contract fuel to receive the best price. Certified international garbage disposal on site. 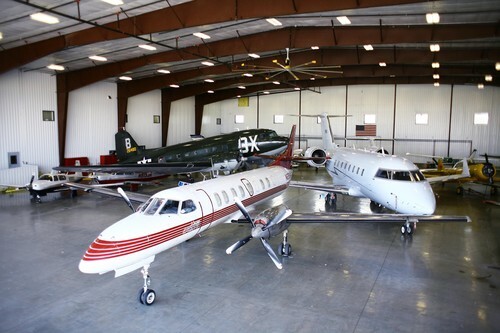 Large aircraft accommodations, up to a G-650. Quick simple approach from any direction. Tower controlled space between 0700-2200 daily. 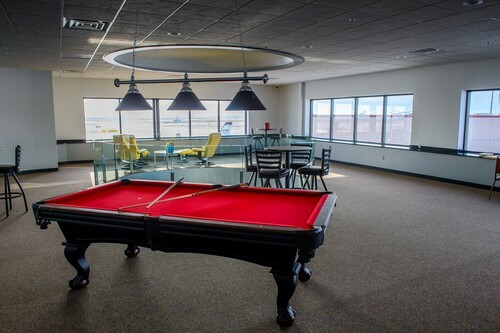 Multiple accommodations within one mile of FBO. 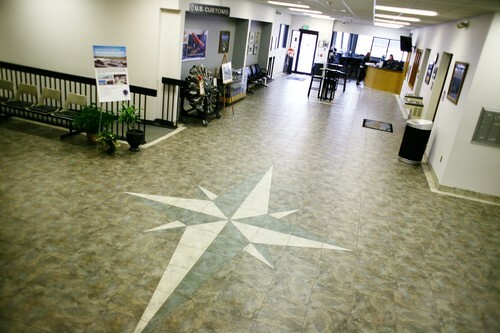 Courtesy cars, rental cars, multiple pilot lounges & day rooms, flight planning room, wifi & pilot store in M.A.C lobby. 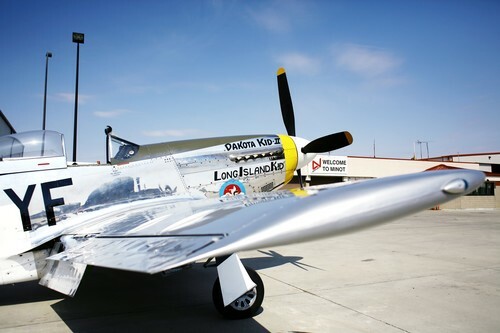 P-51 in front of the M.A.C.